The Leatt GPX 5.5 Neck Brace is a premier safety offering from Leatt, a company known for protecting riders. With riders of every level holding safety in high regard, Leatt designs their 5.5 GPX to be more comfortable, more safe, and more adjustable than other available offerings. Designed in a way that maximizes safety, comfort, and adjustability, the 5.5 GPX uses Leatt’s Alternative Load Path Technology (ALPT) as its foundation to ensure that forces from a large impact or crash are directed out away from your neck. This safety technology uses fit adjusters, a thoracic strut, a semi-rigid chassis, and numerous crumple and breakaway zones to ensure that you have the greatest chance of walking away from a crash with zero neck injury. The key to any neck brace is a proper, precision fit tailored to each rider. Leatt gives you that fit with SureFit adjusters that can quickly and easily adjust to your unique fit and a thoracic strut that has multiple degrees of positioning to fit a range of body types within the size that works for you. The brace also has no problem adjusting to your individual neck length or helmet rim profile, and all these safety features are built into a package that is light in weight, easy to clean, and is compatible with nearly all helmets and chest protectors. Engineered and lab proven by a medical doctor and Bio Medical engineers and trusted by some of the fasted off-road racers in the world. Chassis made of fiberglass reinforced polyamide. 5.5/6.5 helmet rim striking platform design for a biomedical balanced head and helmet freedom of motion. 4 angle rear thoracic strut adjustments to fit most body shapes. CoreFlex split rear thoracic strut is more comfortable and designed to work with the body’s natural movements. 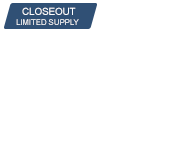 Low profile push-button open/closure system. Injected, durable, easy to clean foam padding. Optional, clear chest strap included. *For more sizing information please see the document tab above. I've never owned a neck brace so I can't compare this to anything. I was worried that this would restrict movement, especially in tight single track. That is not the case. Very comfortable, light and unabtrusive. might even consider wearing this on the 1290. Been very happy with the fit and feel this beck brace offers. Thankfully I haven't had to crash test it yet, but it definitely gives a good sens of safety while riding. It hasn't affected my range of motion at all. Only time I notice it is when i'm off the bike with my helmet on. But once you're in the riding position, you forget it's there. Only reason I didn't give it 5 stars is because I don't like their chest strap all that much. It holds it in place well but doesn't work under the jersey. We have 3 of these now. Mine is over 2 years old. Other brands do not hold up compared to this. Bought myself a neck brace on recommendation from a friend who had a serious crash. It's not to say this will save your life, no more so than say a helmet, but after wearing one I understand how it most certainly could help. The brace just keeps your neck from over extending. I forgot i had mine on the first time i wore it, and i kept it on all day, even when just cooling off, it's that comfortable and unobtrusive. It also doesn't restrict my movements one bit while on the bike. Its a solid piece that i hope i don't have to use, but i feel more confident now that i have it. I've decided to start riding with a neck brace and I wanted something that was top of the game with safety but I also wanted something that didn't restrict to much movement. This neck brace is pretty comfortable and does not limit to much movement but it did take a little getting use too, the only limitations on movement that I have found are when you get down in a attack position you cant bend your head back as much as you are probably use to doing but after two rides or so I didn't notice it much. As usual when it comes to safety Leatt is at the top of the game and I would recommend this to anyone looking into a brace. Very nice product and comfortable. Safety was a concern and it provides just that. Awesome adjustability comes with different attachments to fit your back. Snaps together nicely! Leatt is the way to go! Very comfortable, you hardly feel it, off-course have been able to truly these its performance, as i have not a had a dangerous fall, but having the feel of being protected give you an little extra confidence. This is my very first neck brace, so cant truly compared to others.. But I do recommend it. Great brace, might be expensive but it's the best! I bought this on closeout last year, thought it might be a little pricey for its function but I would buy one at full price after a recent crash. I landed on the side of my head and it put a noticeable mark on my brace from where it hit. My neck was sore for less than a day as opposed to a broken collar bone that would have happened if I didn't have the brace. Definitely recommend leatt! Very comfortable. Fits perfect, feels good and light. I still have some head movement. Recently had pretty significant crash resulting in some leg injuries The neck brace kept my neck from being injured I came away with no neck injury not even a sprain. The neck brace kept my head in line and did not allow any hyperflexion or hyperextention . My helmet is designed to compliment neck braces and together I came away with no neck injuries. I tried an older version leatt and couldn't get a good fit and found that it rubbed on my neck. So basically, I didn't wear it. I gave this newer version a shot and WOW its much improved. Very comfortable, much easier to customize fit and the build quality is great. This neck brace is so light and comfortable its awesome, I am very happy with this purchase, worth the money! Don't go cheap on your neck, you need it! Will the 5.5 fit older Leatt Chest Protectors? BEST ANSWER: Hi Ryan, yes this will fit on our older style chest protectors. I ordered the neck brace and the 5.5 chest protector and it will work but it is not practice for quick removal and gear up. Real pain in the backside. Leatt needs to come up with something better for racers or you will have to have some help you gear up every Moto. I have a couple of different models of leatt chest protector and everything fits just right. I have a 4.5 chest protector and the 5.5 neck brace works perfect. does it come with straps to help support it down? BEST ANSWER: Yes. The straps go around your waist and then clip to the brace. IT DOES - BUT I HAVEN'T USED THEM WITH NO ISSUES. Yes, there are clear straps included. Yes. These come with the straps. I am looking for the neck brace with the most adjustability on the back. My son rides MX and needs to be able to look up/ahead in a standing attack position? His current one hits his helmet on the back preventing him from being able to look up. Hi Albert, this brace has 3 points of adjust-ability on the front, back, and thoracic piece to fine-tune the fit on the rider. The 5.5 and 6.5 brace have a much lower table than the older Leatt braces so clearance is not an issue with the helmet. Thanks! Yes, this brace has great adjustments. 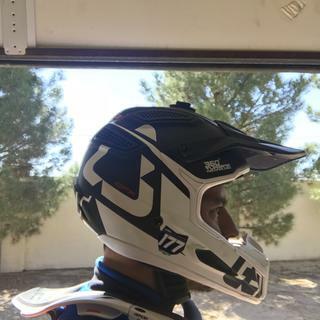 I have a Troy Lee helmet and a Shoei. It fits fine even with the lip on the back of the Shoei. Highly recommend this neck brace. Is this a good fit with a Fox Raptor chest protector? BEST ANSWER: Hi Eric, I am not familiar with the fit of the Fox Raptor chest protector but the listing on www.rockymountainatvmc.com says that it is compatible with neck braces. All Leatt chest protectors are built to be compatible with Leatt neck braces. The Leatt 4.5/4.5 Pro and 5.5HD/5.5HD Pro will be similar to the Fox Raptor if you are looking for a chest protector that will fit specifically with the Leatt 5.5 neck brace. What is the difference between the 2016 and the 2017 Leatt GPX 5.5 Neck Brace? BEST ANSWER: I dont know the diffrence other than the descriprional differences. I didnt have the older version. But i can tell you the 2017 version is great. Excellent protection and when on the bike you dont even notice its there. No differences other than color from the 2016 til now. Will the new GPX 5.5 work with the Alpinestars A10 roost deflector? BEST ANSWER: Hi Jason, I am not familiar with other brands, however all Leatt GPX braces are designed to work with Leatt chest protectors and body protectors. How do i know what size to order for a neck brace?